Sitar Teli is Managing Partner at Connect Ventures and has been a venture capitalist for eight years, focusing on early-stage investments in both consumer and B2B companies. Previously with Doughty Hanson Technology Ventures, where she led their Series A round in SoundCloud, she has experience with content, gaming and ecommerce startups. Sitar has a dual degree in Mechanical Engineering and Economics from Duke University. 1.) How did Sitar make her way into the wonderful world of VC? 2.) How does Sitar approach the difficult task of saying no to entrepreneurs? What is the framework she has adopted over her 8 years in venture? 3.) There are a large amount of sources of capital for business in the seed stage, why did Sitar believe this was the stage with the most opportunity? Is too much capital chasing too few deals? 4.) With the increasing prominence of crowdfunding, is it a viable alternative to VC? Is Sitar concerned that quality deal flow is being lost to Crowdfunding? 5.) What is driving the growth of the European tech startup scene? 6.) Prior to making investments such as that of Citymapper, one obviously has to look at the team and the product. So what do you look for in a founder and what to you makes a great product? 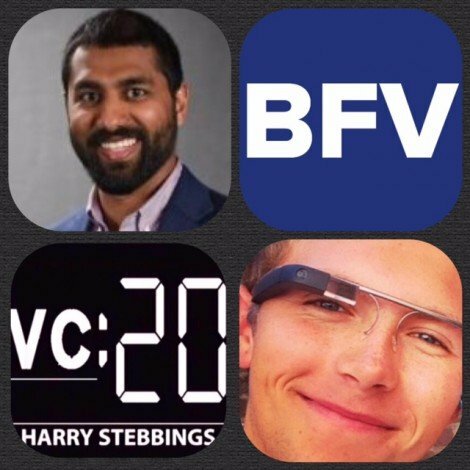 As always you can follow The Twenty Minute VC, Harry and Sitar on Twitter here! 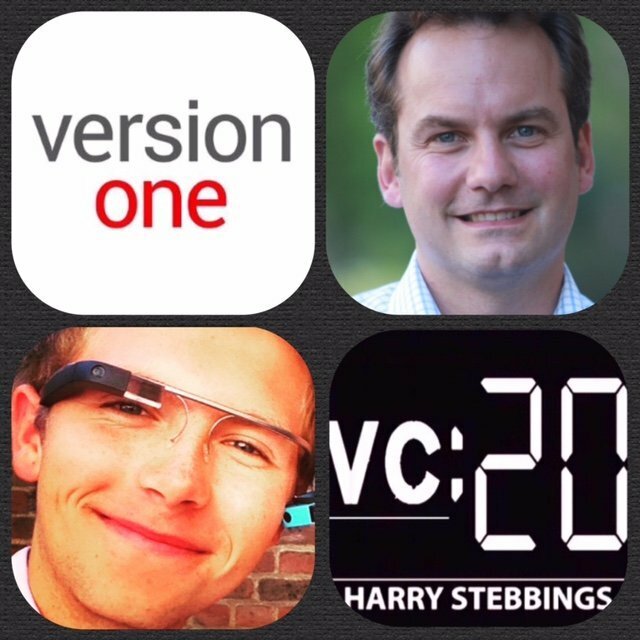 Boris Wertz is one of the top tech early-stage investors in North America and the founding partner of Version One. He is also a board partner with Andreessen Horowitz. Before becoming an investor, Boris was the COO of AbeBooks.com which sold to Amazon in 2008. He was responsible for marketing, business development, product, customer service and international operations – leading a team of 60 people. In 2005, he was named the Pacific Ernst & Young Entrepreneur Of The Year. 1.) How did Boris make his way into the wonderful world of VC? 2.) Why have we seen a mass re-emergence of the marketplace model now? 3.) What was the objective in writing Version One’s book, A Guide To Marketplaces? What did Boris feel the public needed to know that was not already known? 4.) For an entrepreneur looking to move into the marketplace sector, how can they select the right market, are there any essential components they must consider? 5.) The book discusses the benefits of both direct and indirect network effects for marketplaces but in the early days what should startups focus on; demand or supply? How should they go about addressing this element? 6.) What are the core required elements of scaling a marketplace? As always you can follow The Twenty Minute VC, Harry and Boris on Twitter here! Sumeet Shah is an investor @ Brand Foundry Ventures, who have investments in the likes of Warby Parker, Birchbox and Contently. Sumeet himself is pivotal in sourcing and managing new opportunities at Brand Foundry with over 6 years of experience across the startup and private equity industries, formerly running new business strategies at Gist Digital and handling business development and project work at Gotham Consulting Partners. 1.) How Sumeet made his way into the wonderful world of VC? 2.) What stage is Brand Foundry active in? Does Sarah Lacy’s analysis of a ‘Series A Crunch’ concern Sumeet? Has he seen a widening in the gap between the amount that raise seed to then go onto raise Series A? 3.) What does Sumeet believe are the key pieces to run a successful business? In the first 100 days, what are the most important elements to focus on? 4.) Sumeet recently tweeted ‘To All Startups, the most helpful investor is not always the largest’. How can startups determine who is the most helpful? What should startups expect from their investors? What does Sumeet believe makes the best investor? 5.) What would Sumeet say is his biggest strength as an investor and what would he most like to improve upon? As a seed investor, how does Sumeet respond to Aileen Lee’s suggestion that in investing you can only make really money when invested in unicorns? 6.) Is Sumeet bullish on the future of NYC tech? What are the strengths of NY? Where is it booming? Are there any elements of SF, Sumeet would like NY to have? 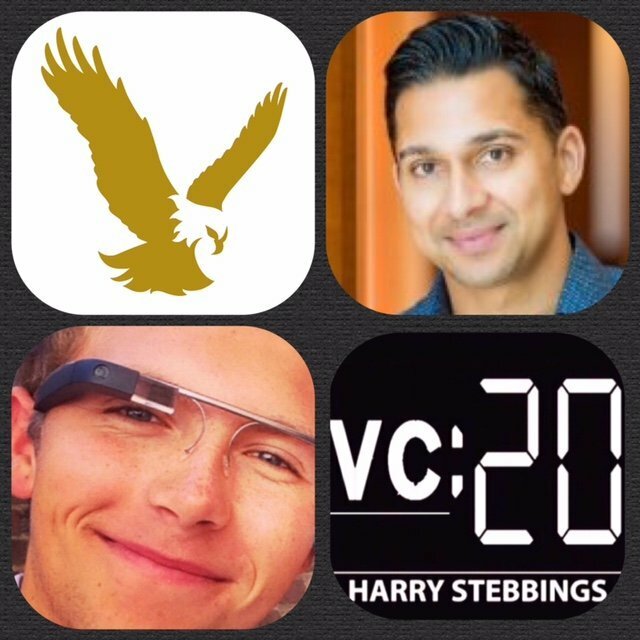 As always you can follow Harry, The Twenty Minute VC and Sumeet on Twitter here! Eric Hippeau is a Managing Partner at Lerer Hippeau Ventures. He is the chairman of RebelMouse and co-founder of NowThis Media. Previously, Eric was the Chief Executive Officer of The Huffington Post and a Special Partner at Softbank Capital, where he served as Managing Partner. Prior to Softbank Capital, Eric was Chairman and CEO of Ziff-Davis, which was the largest media company serving the technology sector. He serves on the Board of various private and public companies, including Buzzed & Starwood Hotels and Resorts. 1.) How did Eric make his way into the world of tech and venture? 2.) Question from Eric Paley: How does Eric compare the role of VC to the role of operator and does Eric think each draws on the same skills and strengths? 3.) What does Eric think makes a great VC and what makes a great operator? Are there any commonalities in the individuals he has come across? 4.) Eric reveals the best pitches he has seen and what made them so effective and flips the coin to discuss the worst pitches and what not to do when pitching a VC? 5.) Eric has made many investments in adtech and content, an area most VCs are hesitant of. So why are VCs hesitant of this space and why does Eric think he and Ken have been able to master it and produce great returns? 6.) With Eric’s experience as CEO at Huffington Post, how does Eric view the changes to the media landscape and what are his predictions and concerns for the next few years? As always you can follow The Twenty Minute VC, Harry and Eric on Twitter here! Daniel van Binsbergen is CEO and co-founder of Lexoo, an online marketplace that connects businesses with lawyers. 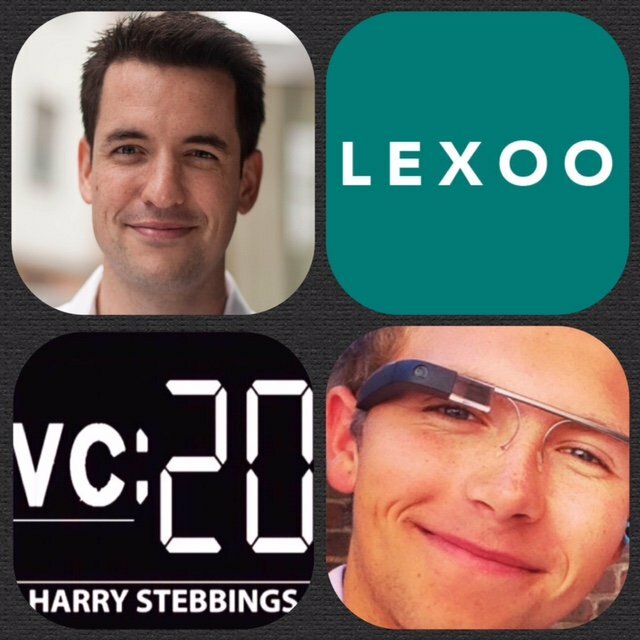 Founded in 2014 in London, Lexoo has raised over $1.7M from a number of investors, including Forward Partners. Before founding Lexoo, Daniel was a senior associate at an international law firm, working in London and Amsterdam. A special thank you to Mattermark for providing all the data displayed in today’s show and you can find out more about Mattermark here! 1.) What were the origins of Lexoo? What was the a-ha moment for Daniel? 2.) Was Daniel nervous about leaving the security of the legal profession to found a startup? What does Daniel advise people who want to make the leap but are not sure if it is worth risking everything? 3.) Why is there a divergence between the advancement of tech and the lacking progression of the legal space? 4.) Why did Daniel start Lexoo in a completely no tech, manual way? How was that? What would Daniel advise fellow founders who do not have the technical skills to build their idea? 5.) How did Daniel meet his investors? How did he find the fundraising experience? What was the challenging and surprising elements of the journey? 6.) If Daniel were to found Lexoo again, what would he do differently? Is there anything he wishes he had known before the process? 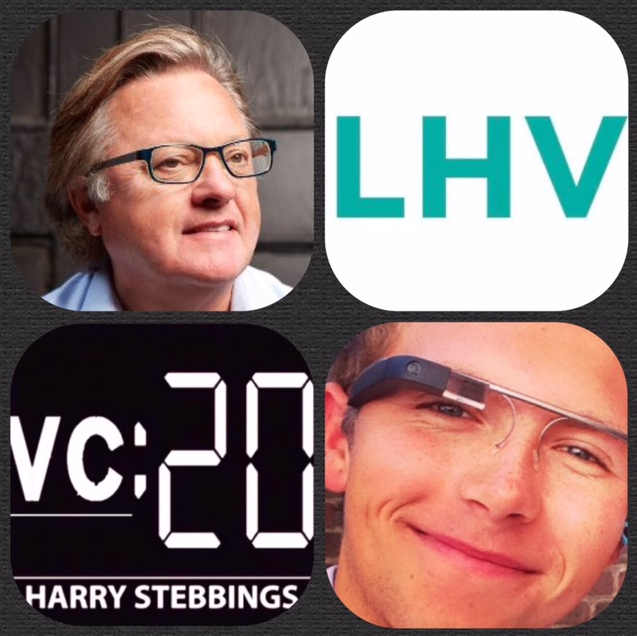 As always you can follow The Twenty Minute VC, Harry and Daniel on Twitter here! 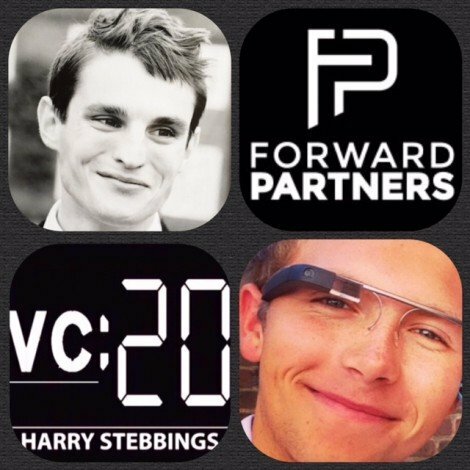 Matthew is an Investor at Forward Partners: a super-early stage London VC. 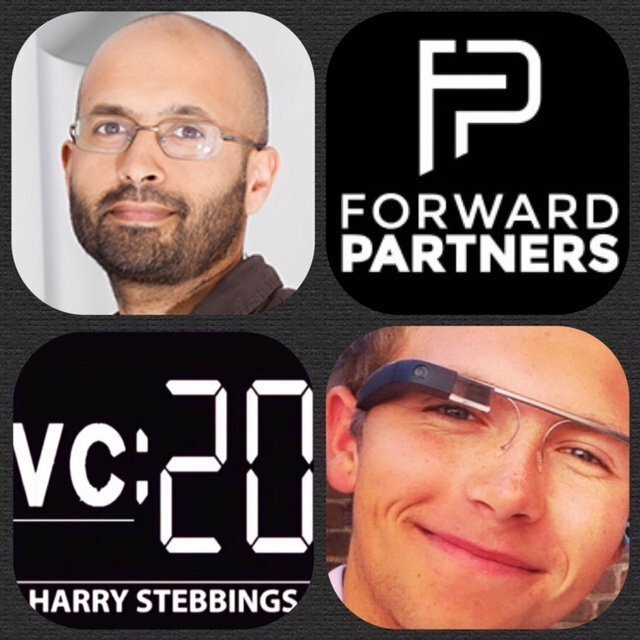 Forward Partners invests in solo-founders, idea stage and seed stage eCommerce, marketplace and related software businesses providing them with funding, office space and the support of an expert in-house engineering, product and growth team. Before becoming a VC, Matthew had varying degrees of success (!) with retail and security tech start-ups. He began his career in Sales, Structuring and Trading at investment banks. He holds a BA in Economics and Politics and an MBA from SDA Bocconi. A huge thank you to Mattermark for all the data discussed in today’s show and you can find them here! 1.) How did Matt make his way into the world of VC? What would he advise someone wanting to get into the industry? 2.) How does Forward Partners differentiate themselves in such a sea of seed funds? What is unique about their model? 3.) What are the key activities that entrepreneurs can do to build a successful business, ready for Series A? What would Matt advise someone who has an idea but no technical skills? 4.) What are the nuances and complexities of the early stage funding environment? How do Forward approach and overcome them? Are there any common misconceptions? 5.) What are the similarities and differences between the US and the UK with regards to start-up attractiveness? Where would Matt choose to found his startup if he were a founder? 6.) Considering YC’s recent intake, where does Matt see growth areas in consumer facing startups? 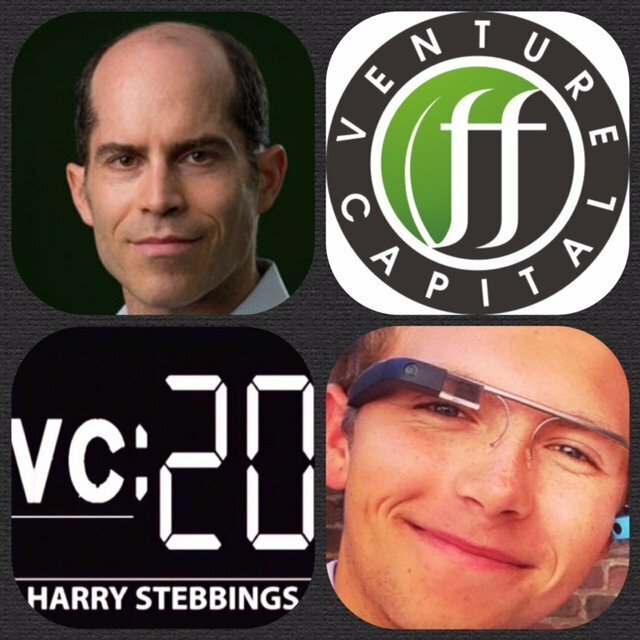 As always you can follow Harry, The Twenty Minute VC and Matthew on Twitter here! Dharmesh Raithatha is the Product Partner at Forward Partners. He works with idea stage investments on product, growth and business strategy. He has a passion for User Research, Lean UX and using data to inform decision making. Dharmesh has over 15 years in product roles for companies like Mind Candy and the BBC. He has founded 2 startups and successfully sold one. A special thank you to Mattermark for providing all the data used in today’s episode and can find out more about Mattermark here! 1.) How did Dharmesh make his way into the world of VC? 2.) How has Dharmesh’s startup driven past, altered his investment pattern? What are the benefits and weaknesses to this kind of operational experience? 3.) At Forward there Open Office Hours where people come and share ideas, so what is it about the ideas you like that make them good, what makes the bad ones bad? 4.) What are Dharmesh’s tips or advice for idea creation and brainstorming? 5.) What would Dharmesh advice non-technical people looking to found a tech startup? 6.) What does Dharmesh believe makes a great founder? Has he seen any commonalities in the great founders he has worked with? 7.) What should teams focus on in the first 100 days of their startup? What is the 20% that produces 80% of the results? 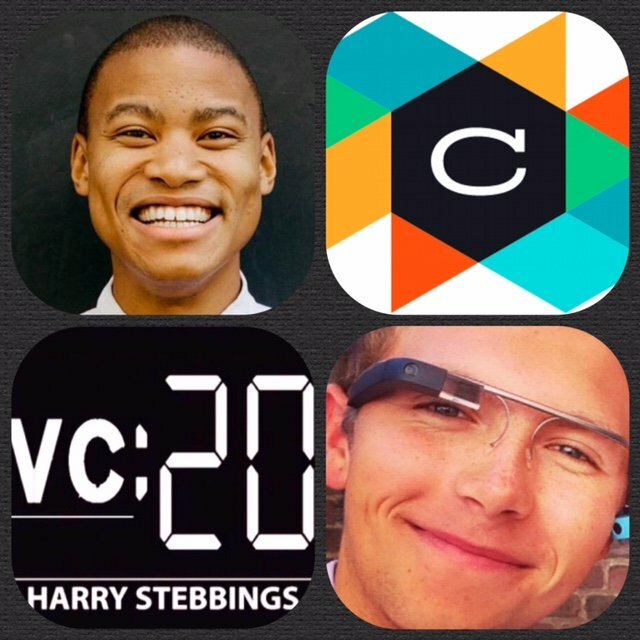 As always you can follow Harry, The Twenty Minute VC and Dharmesh on Twitter here! Free Conversion Rate Optimisation Ebook Download Here! 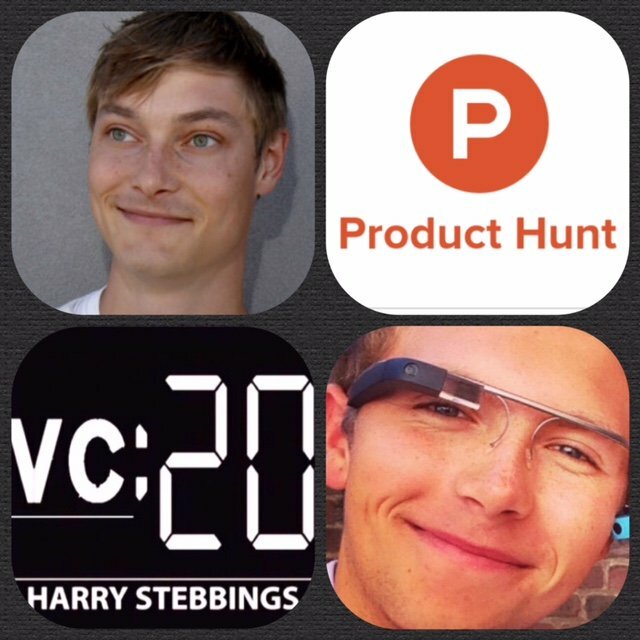 Ryan Hoover is the Founder and CEO @ ProductHunt, winner of TechCrunch “Best New Startup 2014”. ProductHunt is a community of people sharing, upvoting, and geeking out about new technology products, games, and books. Before Product Hunt, Ryan was an EIR at Tradecraft and Director of Product at PlayHaven. As a writer, Ryan has contributed to Hooked: How to Build Habit-Forming Products by Nir Eyal and written many essays, including features for TechCrunch, Forbes, Pando, Fast Company, and The Next Web. He writes about startup trends, product designs, and production growth on his blog, ryanhoover.me. I would like to thank Mattermark for providing all the data and analysis for this interview and you can check them out here! 1.) How did ProductHunt get started and what was the a-ha moment for Ryan in the founding of ProductHunt? 2.) PH has gone from a newsletter to friends to a a16z backed startup with employees around the globe. What have been the drivers of PH’s success? 3.) PH harness the crowd for feedback on everything from designs to features. Why does Ryan prefer this open sourced feedback approach? What are the benefits? What would Ryan suggest to founders looking to adopt a similar feedback style? 4.) Question from Matt Hartman at Betaworks: Considering Ryan’s work with Nir Eyal on Hooked, are there elements of Hooked that Ryan baked into the infrastructure of PH and what were they? 5.) How has Ryan created such a close and intimate relationship with his audience? What are the tools and strategies that Ryan uses to build that community? What advice does Ryan give for people looking to network and make a community around them? 6.) Where does Ryan see PH in 5 years time? What is his vision for the PH platform? How does a platform such as ProductHunt plan to monetise? David Teten is a Partner at ff Venture Capital and is also Founder and Chairman of Harvard Business School Alumni Angels of Greater New York, the largest angel group in New York. David is currently co-leading the first study on “how to disrupt the investing industry.” He led the first-ever study of best practices of venture capital and private equity funds in originating new deals (#1 all time most-read study in the Journal of Private Equity) and the first-ever study of VCs in creating portfolio company value. He has published in Harvard Business Review, Institutional Investor, and other leading publications. David’s blog is one of the most extensive and actionable blogs there is, seriously you have to check it out and it can be found at teten.com. 1.) How did David make the move into the world of vc and technology? 2.) What is David’s approach to deal sourcing? What strategies would he recommend to other VCs to find the best startups and entrepreneurs? 3.) What does David think are the most effective ways that VC and PE funds are helping to increase portfolio company value? 4.) How should an entrepreneur evaluate how value-added a VC can be? Are there any signs that one VC has more value add than another? 5.) Is VC moving to the operational model in terms of headcount, with the moves of firms like a16z who provide extensive services as additional value add? 5.) Why did David and ff invest in Indiegogo? Is it not an alternative finance method that is competing with VC? Has David notice a loss in deal flow to AngelList? Erin Glenn is the CEO @ Quire where she aims to create a way for communities to invest and collaborate with companies and their founders. Quire is changing the way companies are owned and built. Prior to being CEO, Erin was CFO at SF based video game maker KIXEYE, an investment banker at Morgan Stanley and UBS, and a management consultant in the US and South East Asia. All the data and research mentioned in today’s show is provided by the kind team at Mattermark, check them out here! 1.) How Erin made her way into the wonderful world technology? 2.) 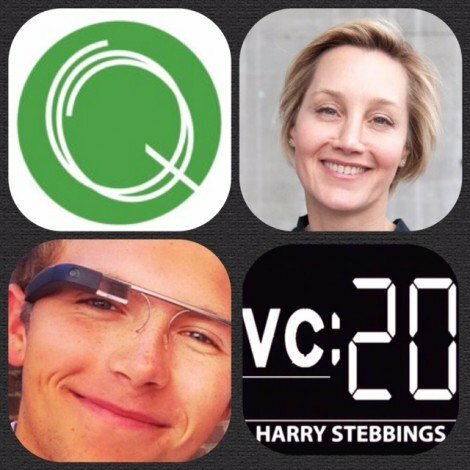 What is Quire, how does Quire work, what companies does Quire raise for? 3.) Over the last few years we have seen a massive increase in the crowdfunding sector in general. What are the key drivers of the rise of this sector? 4.) With the greater and greater amounts being raised on these platforms, many are suggesting they have the potential to replace VC. What are Erin’s thoughts on this? Or are the systems fundamentally different? 5.) What are the greatest barriers to mass market adoption of the crowdfunding model? What have been the biggest challenges faced in the journey with Quire? 6.) How does Quire, as a crowdfunding platform plan to draw investors away from funds and other portfolio based assets given the level of risk associated with investing in young companies? 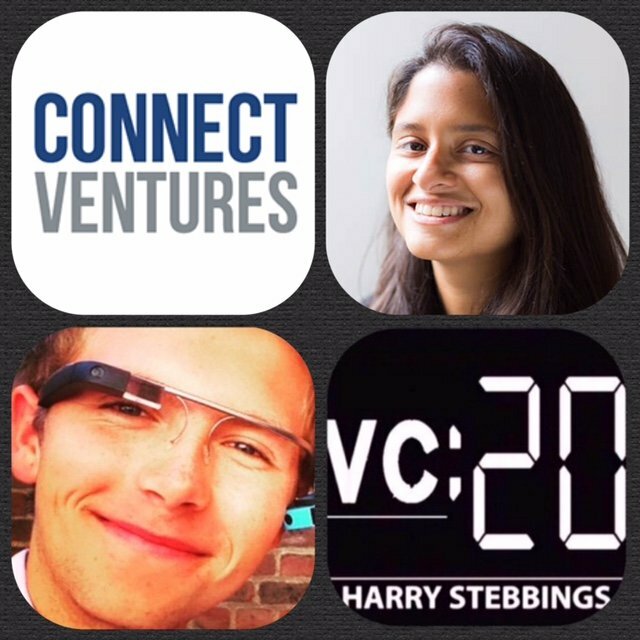 As always you can follow Harry, The Twenty Minute VC and Erin on Twitter here! Samir Kaji is the Managing Director @ First Republic Bank, a leading private bank and wealth management company on Sand Hill Road. Samir, has 13 years of banking experience, working with venture capital and private equity clients in Silicon Valley. Prior to joining First Republic, Kaji worked for Silicon Valley Bank. Samir writes an awesome blog on the VC, investing and startup scene at (http://pevcbanker.com). All the data and research mentioned in today’s show is provided by the kind team at Mattermark, check them out here! 1.) How Samir made his way into the wonderful world of venture and technology? 2.) We often hear the term, Micro VC bandied around, are there any common characteristics and criteria that discern Micro VCs from traditional VCs? 3.) Why has there has been this massive growth of the seed stage funding environment? What is driving this end of the funding cycle? Is it being damaged with the rise of AngelList syndicates? 4.) What trends and emerging themes has Samir seen come out of this exponentially expanding sector? What effect has AngelList had on the MicroVC market? 5.) What are Samir’s thoughts for the future of seed funding? What do you think the seed funding landscape will look like in 20 years time? 6.) Why do smaller funds tend to outperform larger VCs?